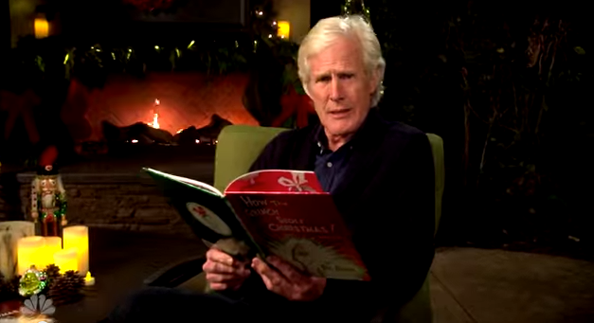 Are we the only ones who sometimes have nightmares narrated by NBC News correspondent Keith Morrison‘s ominous and slightly creepy voice? Well, now the “Dateline” correspondent has now leant that voice, which has been satirized on “Saturday Night Live,” to a special holiday treat — a reading of “How the Grinch Stole Christmas,” written by Dr. Seuss. The result is both somewhat terrifying yet oddly perfect for the story in question. The only thing missing is having the grinch caught red handed by Chris Hanson.